The batteries could pop out and pose a risk to children. 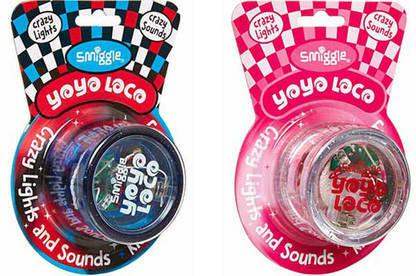 The yoyos were sold at Smiggle stores and the Smiggle online shop from 30 October 2015 until 24 June 2016. For more information, contact Smiggle on 0800 125 647 between Monday - Friday, 9am - 5.30pm, or email product@smiggle.com.au.